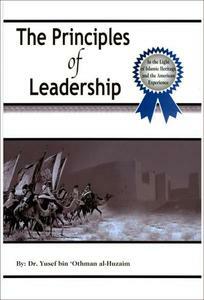 In this work entitled “The Rudiments of Leadership”: The American Attempt in the Light of Islamic Heritage”, Dr. Yusuf bin Uthman Al Huzaim offers an insightful awareness of the many theories and practices of leadership deriving from Islamic heritage and the modern American experience. Dr Al Huzaim combines Western management theory and practices with Islamic principles. 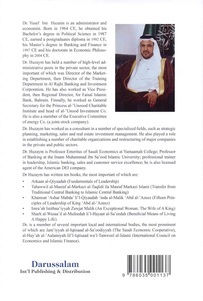 From an Islamic standpoint, Dr Al Huzaim does not rely on western philosophy to establish principles of leadership, but he draws on them to demonstrate the vast wealth of literature on the subject (a point he emphasizes to the Arab world for its lack of specialized works in this field) while only tending to draw on those that are in agreement with the truth.